Total Network Monitoring - STL Communications Inc.
Local area networks (LAN) play a crucial role in ensuring the stability and performance of all applications within your company. However, managing a large number of LAN ports is expensive and time-consuming. 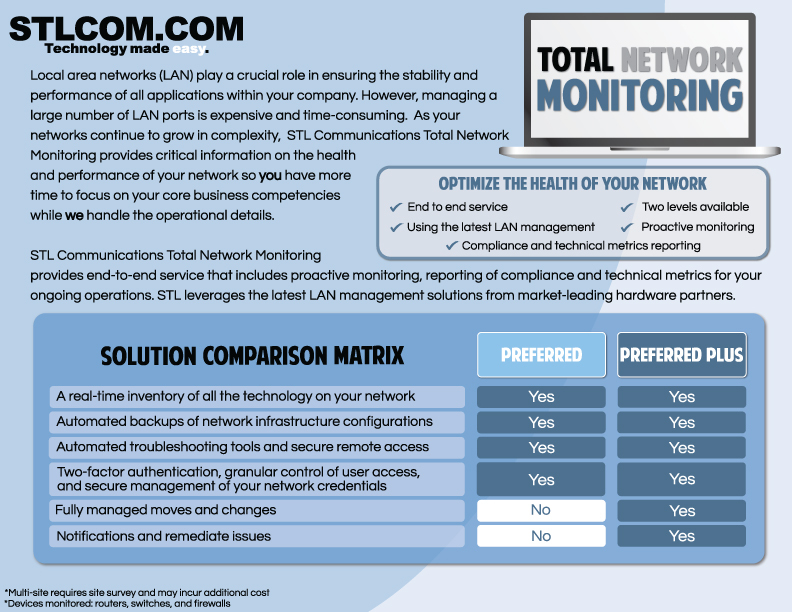 As your networks continue to grow in complexity, STL Communications, Inc. Total Network Monitoring provides critical information on the health and performance of your network so you have more time to focus on your core business competencies while we handle the operational details. STL Communications TNM provides end-to-end service that includes proactive monitoring, reporting of compliance and technical metrics for your ongoing operations. STL leverages the latest LAN management solutions from market-leading hardware partners. Managing servers and endpoints is important but it’s not enough on its own; you expect and need more. 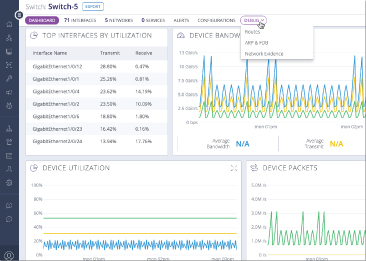 We provide the visibility and control of a traditional RMM (remote monitoring and management) solution but also a deeper look into infrastructure devices like routers, switches, and firewalls. Now you can see everything. 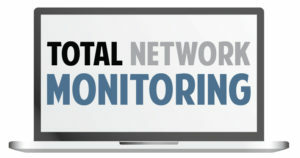 Download our Total Network Monitoring brochure!